There are numerous other compounds like L-Thyroxine worldwide which contain the substance levothyroxine sodium. Due to limited space, however, they are not part of this list. 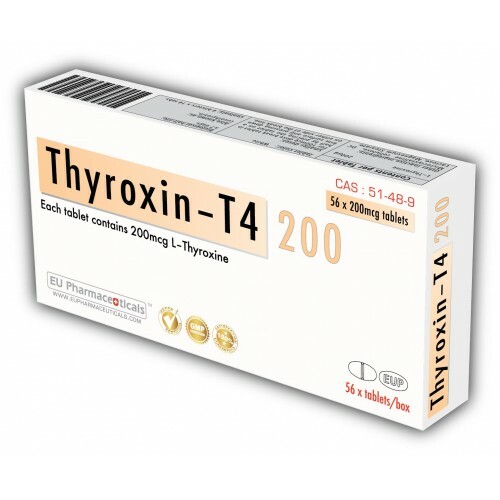 L-Thyroxine is a synthetically manufactured thyroid hormone. Its effect is similar to that of natural L-thyroxin (L-T4) in the thyroid gland. 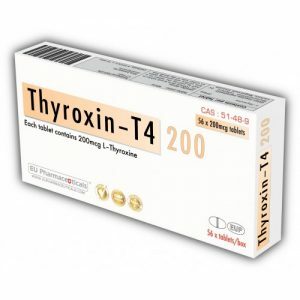 L-thyroxin is one of two hormones which is produced in the thyroid. The other one is L-triiodthyronine (L-T3, see Cytomel). L-thyroxin is clearly the weaker of the two hormones. For this rea-son it is often used for a longer time period than L-T3. Bodybuilders use L-Thyroxine to accelerate the metabolizing of carbohydrates, proteins, and fat. The body burns more calories than usual so that a lower fat content can be achieved or the athlete burns fat although he takes in more calories. 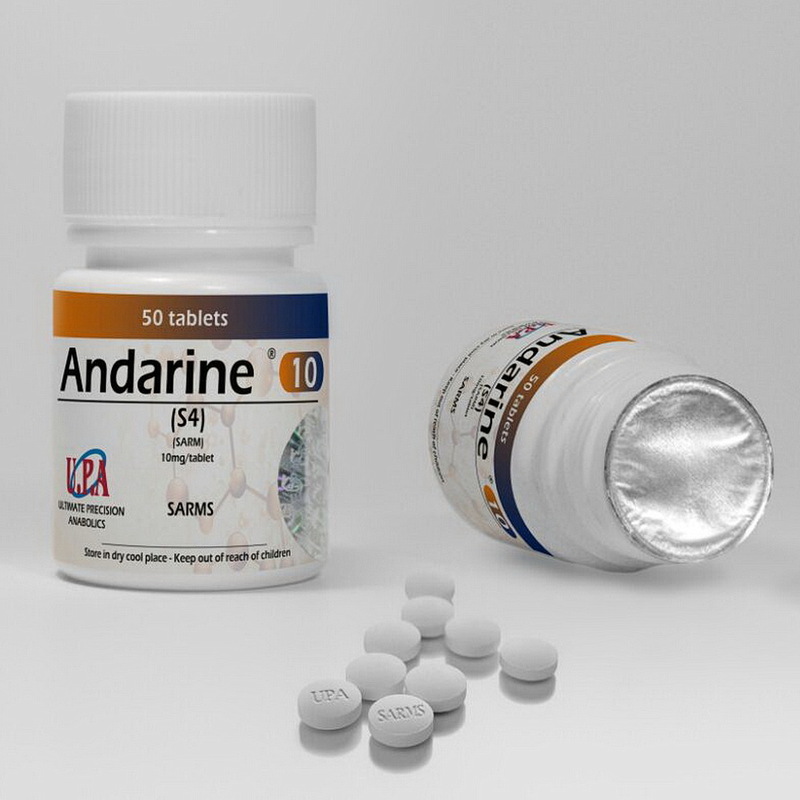 In the past L-Thyroxine was often used by competing bodybuilders. Unfortunately, with increased dosages (more than 400 to 600 mcg/day) usually not only more fat but more carbohydrates and proteins are burned as well. The athlete no doubt becomes harder but he can also lose muscle mass if steroids are not administered simultaneously. L-Thyroxine is rarely used to-day since most athletes use Cytomel or Triacana. When used properly there are few side effects to L-Thyroxine. Dosages that are too high and, in particular, dosages that are increased too quickly and too early at the beginning of intake can cause trembling of the fingers, excessive perspiration, diarrhea, insomnia, nausea, increased heartbeat, inner unrest, and weight loss. The dosages taken by athletes are usually in the range of 200-400 mcg/day. We advise that you begin with a small dose and increase it slowly and evenly over several days.